When I walked past my 3 tier container of triangles I noticed the stack of plaid 6" triangles left over from the Kaffe and plaid quilt. I had a lot of pieces of plaid that weren't full width and close to a quarter yard so I figured this would be a good mindless sewing project for the next couple weeks. I got out the die that cuts 4 at a time, 10 layers deep (Studio die cutter) and started cutting. I divided the darks and lights because this quilt will need contrast. 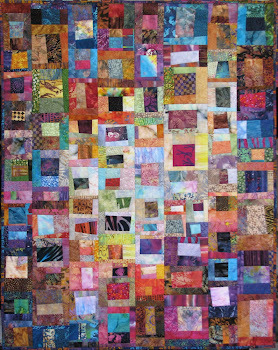 In a couple weeks I'll start playing with them on the design wall after they are sewn into squares. I have been having trouble leaving comments on some blogs. It is making me choose my identity and even though I choose Google profile, it does not print my comment. Other blogs recognize me automatically and are ready for my comment. I'm a little irritated that they are back to the photos to prove I'm not a robot. It isn't good enough that you choose all of the signs in the first group, the word NEXT is at the bottom so you know there is another set to choose from. Are any of you having problems with the comments too? Just when we think we've seen all your plaids, more beautiful plaids come into view. I see some that are way different than those you used in your hexagons. . . 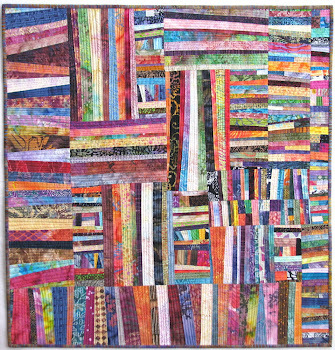 I know ALL will enjoy every quilt you show tonight. Your program always inspires and brightens everyone's day. I have issues with leaving a comment on your blog, and there have been days when I try several times a day and have to give up. It happens more on my iPad than desk top computer. I read lots of blogs on my iPad but when I want to leave a comment, especially one with more than just a couple of words, I use my desktop computer. Easier to type and fewer issues all around. Gorgeous plaids (so rich and deep). Your trunk show will be spectacular -- lucky guests who get to see your work in person!!! Good luck tonight with the program. Wish I could visit to hear it. Lately yes, more problems leaving comments. No idea what changed. I’m having the same problems with comments as you are. It’s also using my real name,not my display name. I haven’t been commenting as I really don’t want my name, first and last, everywhere! There are some blogs where I cannot comment unless I used my phone; cannot "get through" on my computer. No clue why. But I have no problem commenting on your blog, Wanda. Good luck tonight, you'll be great! I am having the same problem. I have been making comments every day, but they won’t post?!?! I have trouble with spammers leaving comments and I must delete them. I never know if my comments are published or nothing never see them if they are. Have a great show tonight. I just ignore that box and click on post comment. I only have one blog that makes me go back and prove that I am not a robot. Wish I lived closer so I could come to your trunk show. I imagine it will be a grand time! 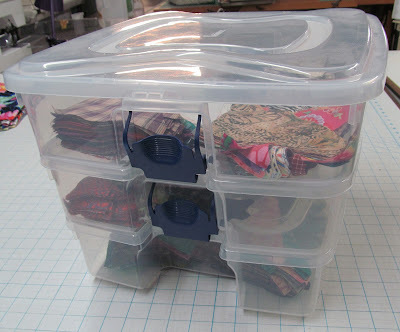 I will so enjoy following along on your plaid project. 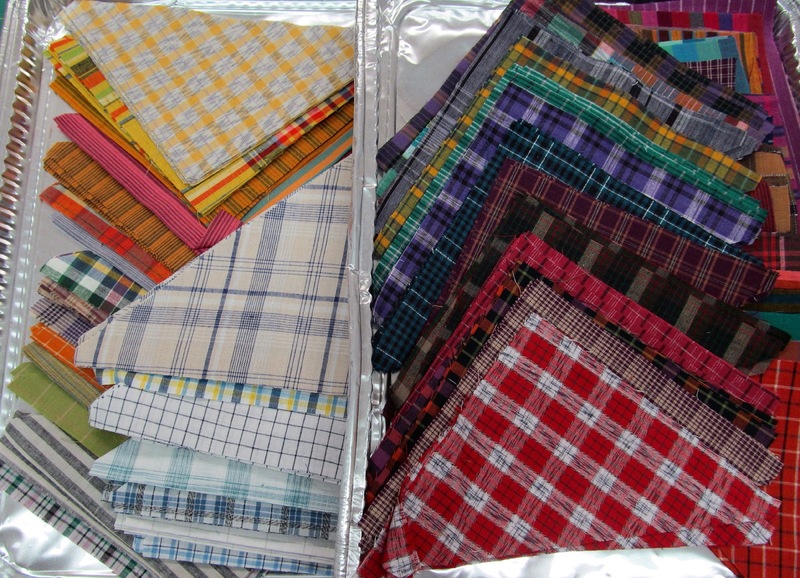 I have a collection of plaid fabric that is queued up for piecing. My audience has always had trouble commenting - even when I changed it from a Google+ profile. I've even thought of turning off comments and having people just email me. I have not experienced any problem leaving comments Wanda, on yours' or any other blog, so no excuse for what's going on. Of course, now that I've said that, I'll probably have one. lol I know that everyone attending your show tonight is in for a wonderful and informative time. Would love to see your trunk show if I were just a few states closer! I'm sure it will be great! 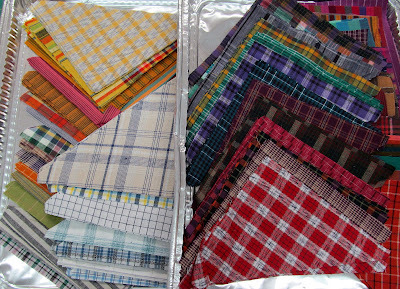 I will look closely to see what you do with those cut plaids. I just looked at mine yesterday and have most everyone pictured from those Roberta Horton days. Such a nice feel to them. Whatever you do will be inspiring I know! If you type up a comment on blogger and click "publish" and get a blank spot where the comment box was, try this: hit the "back button" on your browser so the page reloads. That will often make your comment reappear in the comment box as if you just finished typing it but hadn't hit "publish" yet. Now hit "publish" again and it will usually go through. This happens often for me when I'm asked to choose my Google identity. It's a pain, but at least you don't have to type the comment twice! And I agree with one of the comments above. Don't bother proving you're not a robot. Just click "publish" and skip that darn robot thing. There are some blogs I read at work that I can't comment on. They don't have a "name/url" option and the Wordpress option doesn't always work, and OpenID (no longer supported?) never works any more. So I either need to try and remember what I was going to comment on until I get home (not likely) or mix personal and work accounts on work computer (NO WAY!). I've also had people reply to comments that I do leave (you've been one) saying I'm a no-reply, but when I follow the instructions to fix it on my blogger account, I find things already set up correctly. Whenever possible, and I remember to change while at home, I use the "name/url" option. It's almost like they want people to quit blogging and start using Instagram. OTOH, I realize some of things we must do to post are to try and foil the spammers, hackers, and whatever other jerks are out there. Yes. I'm having same issues with commenting as you are....I thought it was just me...lol!